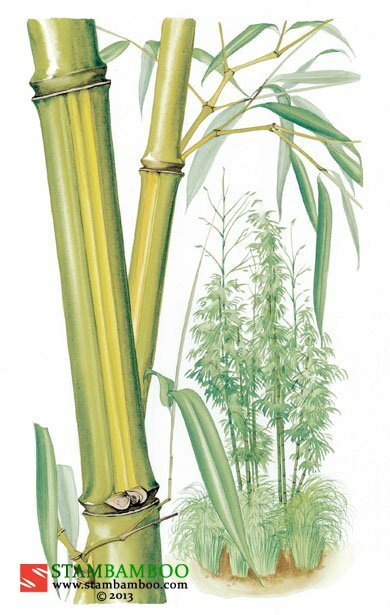 A tall, fast-growing plant, this green-and-yellow-caned bamboo is still quite a rarity, having been introduced into Europe from China in 1992. 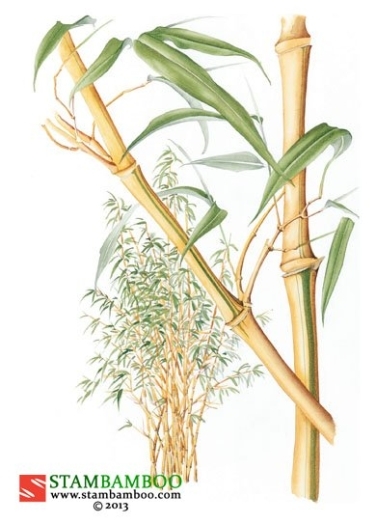 The word “Huangwenzhu” means “yellow groove bamboo” in Chinese and perfectly describes the indented yellow stripes on the olive-green culms. The long, mid-green leaves (up to 15 centimetres) hang gently from stiff branches. 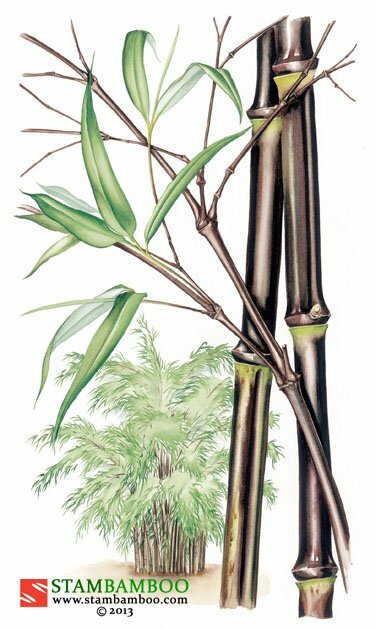 The thick canes (which can reach a diameter of 5 centimetres) arch slightly when mature, and the whole plant has a very pleasing appearance. 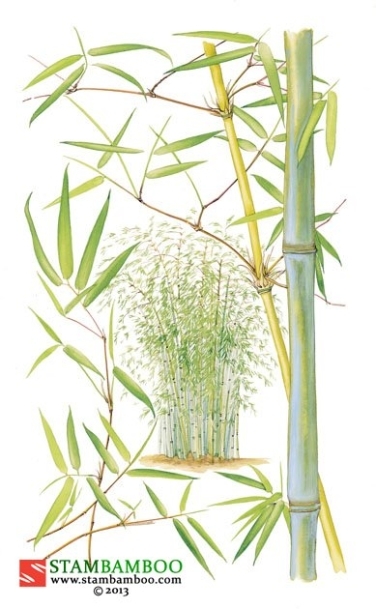 ‘Huangwenzhu’ is happy in sun or semi-shade, and has excellent frost-resistance: in China it tolerates temperatures of minus 23 degrees Centigrade. 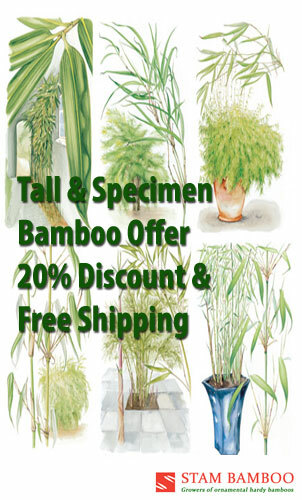 It makes a superb solitary specimen, or an unusual grove or screen.